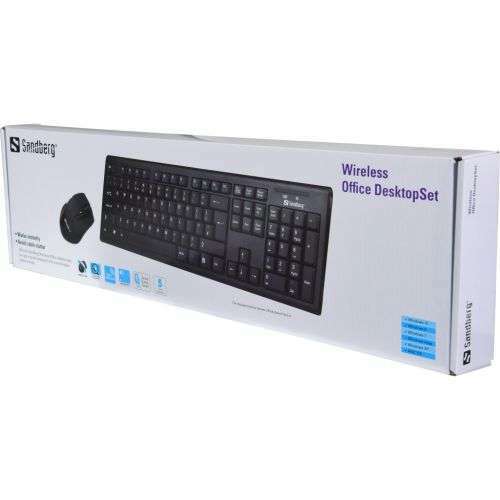 With the Sandberg Wireless Office Desktop Set, you get a stylish keyboard and a comfortable optical mouse. You avoid cable clutter as both devices connects wirelessly to your computer via a tiny USB receiver. Installation is fully automatic with no need for software or pairing of devices.